FOR ONE NIGHT ONLY THIS JUNE! 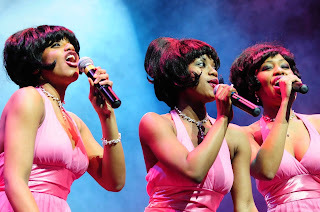 Start spreading the news as not one but four one night spectaculars are set to grace the Sunderland Empire stage back-to-back next month starting with the Rat Pack Vegas Spectacular (3 June), The Magic of Motown (4 June), An Evening of Burlesque (5 June) and Roy Orbison & Friends (6 June). It’s fun all the way as the "Purveyors of Cool" swing into Sunderland Empire with a sensational show Rat Pack Vegas Spectacular on the 3rd June) featuring "The Greatest Music Of The 20th Century". Wonderful memories of three incredible performers Frank Sinatra, Dean Martin and Sammy Davis Junior in a fabulous production that continues to be successful all over the world. Now in their 13th year the show goes from strength to strength and it’s all live both musically and vocally. The Rat Pack Orchestra are more than just great musicians as they are a show band who also join in the fun as do the fabulous Vegas Showgirls who also add a touch of glamour to proceedings. Every song is an absolute classic - Under My Skin, Mr Bojangles, Fly Me To The Moon, Lady Is A Tramp, That's Amore, Mack The Knife, Sway and many more of your favourites. With an abundance of class and style they take you on a trip back in time to vintage 60’s Las Vegas hip and cool as their timeless soiree remains the pinnacle of quality entertainment. Britain’s biggest Motown spectacular is set to return with an all-new, all-star show celebrating 50 years of UK number one hit singles. 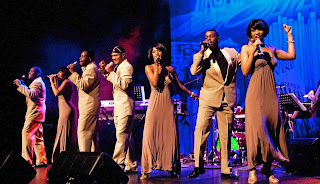 The Magic of Motown on the 4th June brings its brand-new 2015 REACH OUT® Tour with songs like Stop in the Name of Love, I Can’t Help Myself, Tracks of My Tears and It’s the Same Old Song which rocketed artists like the Supremes, The Four Tops, and Smokey Robinson and the Miracles to the top of the singles charts in 1965. “Incredibly, 100 more No1s followed worldwide,” says show producer Michael Taylor. 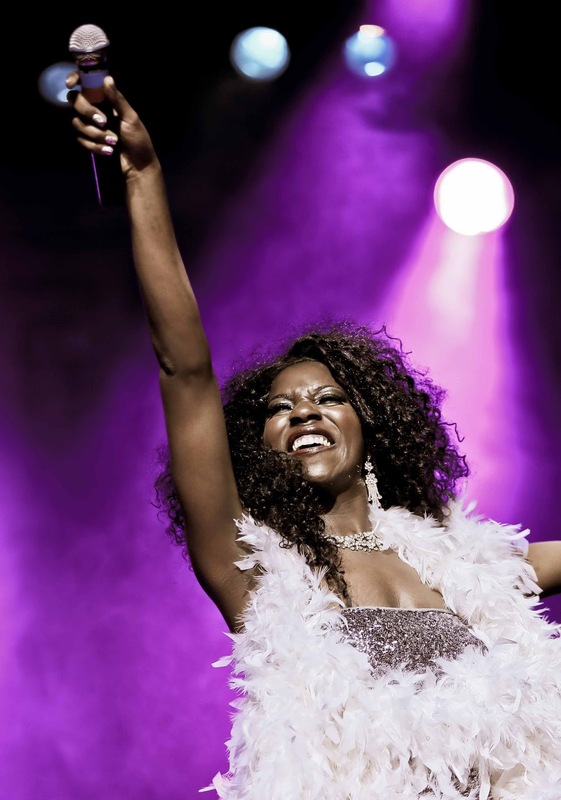 “The Magic of Motown 2015 REACH OUT® Tour brings to the stage 36 of these chart toppers back-to-back in one critically-acclaimed production”. Direct from the USA, The Magic of Motown promises five-star performances that will authentically revive the style and sophistication of everyone’s favourite musical legends. “This year we’re proud to announce that the show will include more number one hits than ever before,” says Michael. Classic hits from the Temptations, Four Tops, Jackson 5, Stevie Wonder, Marvin Gaye, Lionel Richie and The Supremes are packed into the two-hour spectacular. “As well as dazzling dance moves and glittering costumes galore and the elusive, authentic sound is recreated by our incredible band” adds Michael. The group, especially put together for the show, celebrate their twelth year together on this tour. “In their capable hands,” says Michael, “you can guarantee that the score will be – with a nod to the great Stevie Wonder – uptight. . . alright and out of sight!”. For the first time ever, the biggest burlesque stars from around the world are set to star on the same stage in a brand-new, spectacular stage show for 2015, promising that Britain’s biggest burlesque production is “going global” for the new year. The 5th June brings An Evening of Burlesque which unveils an array of international talent brought together for a nationwide tour with the very best burlesque performers drawn from five continents of the world. For its fifth year, An Evening of Burlesque goes international. The set list can include strutting Vegas showgirls in all their finery, a tutu too funny take on Russia’s Bolshoi Ballet, going nuts on Brazil’s Copacabana beach, a Roaring (with laughter) Twenties tribute to America’s Great Gatsby and international intrigue thanks to a James Bond finale, featuring a giant martini glass glamorously garnished by a splashing Bond Girl. Already Britain’s biggest burlesque extravaganza – a quarter of a million people have now seen this show – An Evening of Burlesque has spent the past two years touring the rest of the world, revealing the secrets of the art of burlesque to delighted audiences. From Milan to Zurich, St Petersburg to Minsk, Leipzig to Verona, Dresden to Riga, Padova to Dessau audiences have given the show a standing ovation. The show combines musical and theatrical parody, cutting-edge variety, magic, comedy and dance with the art of striptease. For over-18s only, An Evening of Burlesque is the slickest, wickedly wittiest, most delightfully choreographed cabaret spectacular of the year. Barry Steelewill then present his tribute to The Big O with Roy Orbison & Friends when he returns on the 6th June. 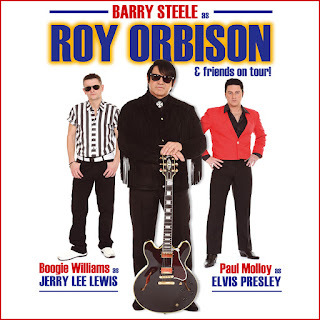 Barry is widely recognised as one of the world's leading tributes to music legend Roy Orbison. He's stunned audiences across the globe with his uncanny visual similarity and his ability to authentically revive the exquisite toe-tapping sound of this music giant. Using original film footage and backed by his fabulous band and big screen , this celebration of The Big O’s musical legacy is quite simply unmissable as Barry Steele takes you on a musical journey in time from the early sun years right through to the late 80’s and The Traveling Wilbury’s. Add to the mix Paul Molloy as a young Elvis and Boogie Williams as Jerry Lee Lewis and you have yourself an incredible fusion of Rock ‘N’ Roll and Contemporary musical genius all on one stage. 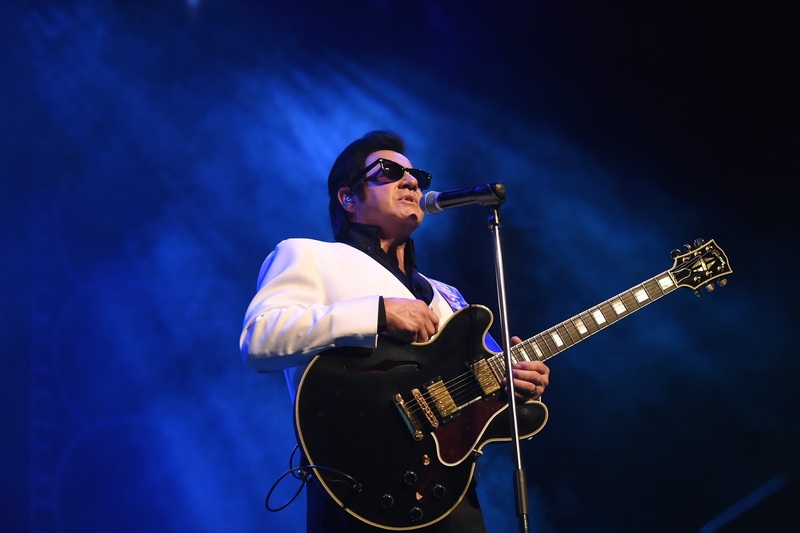 Barry has toured across the globe in his role as Roy Orbison, but it is a far cry from his time in the RAF when he was stationed at RAF Waddington, Scampton and RAF Tongeren in Belgium. Whilst in the Forces Barry has refueled both Vulcan Bombers (The Ladies of the Sky) and The Red Arrows. When Barry left the RAF he moved back to the West Midlands with his young family. He became a long distance lorry driver, and it was during those long lonely hours out on the road that be began singing to artistes such as Michael Jackson, Wet Wet Wet, and Chris Rhea. It was on a family holiday in Cornwall in 2001 that Barry took the first steps on the road to becoming a professional singer, when his wife Lynne and their daughter Leonie entered him into a singing competition without his knowledge. It was there that a fellow competitor said to him, “You know you sound just like Roy Orbison singing Robbie Williams!” so with the help of family and friends a tribute to The Big ‘O’ was born. 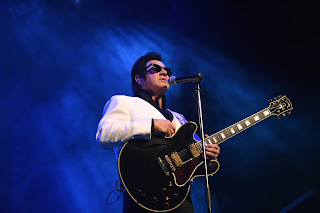 Barry quickly became totally enveloped in the music and sheer magic that was Roy Orbison, his aim was simple, his vision clear, to deliver the songs to Roy Orbison fans in the same manner in which they were originally performed. Barry has toured across New Zealand, Holland, Germany, Austria, Denmark and Ireland. Whilst in the United States of America Barry sang in front of Roy’s son Wesley, as well as duetting with Bill Dees the co-writer of many of Roy’s songs. All tickets available in person at the Box Office, by calling 0844 871 3022* or booking online at www.ATGtickets.com/Sunderland* plus a transaction fee applies.